The import of the mobile phones has been considerably increased during last 10 months (July – April) of 2017-2018. The import of the mobile phone is witnessed with the growth of 18.56% and it cost for $678.6 million when you compare it to $572.38 million during the same period during 2016-17 (July – April). 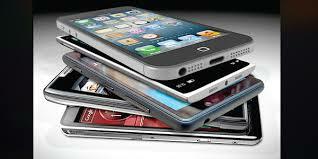 The import of the mobile phone in April 2018 is $75.532 million, which is the 57.56% increase than the import of the mobile phone in April 2017 was $47.938 million. When you compare the figure witnessed in March 2018, there was considerable decrease of 1.96% and the imports touched to $77.042 million in March 2018 and it showed the latest data by Pakistan Bureau of Statistics (PBS). The telecom reports showed the increase of over 11.91% during July – April 2017-2018 when it is compared to same period of last year. The total imports of the mobile phones were recorded as $1.266 billion during this period when it is compared to $1.131 billion in July-April 2016-17. The telecom imports remained at $134.117 million during April 2018 and the growth, which is registered as 30.16% as compared to $103.038 million during the same period of April 2017. The prices of mobile phone handsets will increase after the announcement of the federal government with new levy of up to Rs.5000 on the import of the mobile phones. The finance bill 2018-19 shows that there shall be levied a mobile phone at the rates specified on the smart phones of different categories. The levy will be zero where import value of handset (including duties and taxes) does not exceed Rs 10,000. There will be a levy of Rs 1000 per set where import value of handset (including duties and taxes) exceeds Rs 10,000 but does not exceed Rs40,000. There will be a levy of Rs 3000 where import value of handset (including duties and taxes) exceeds Rs 40,000 but does not exceed Rs 80,000. 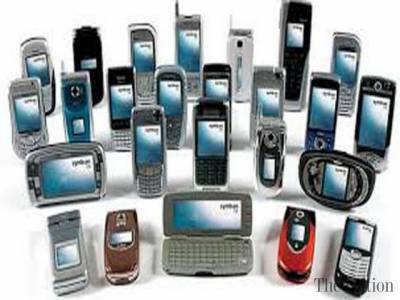 There will be a levy of Rs 5000 where import value of handset (including duties and taxes) exceeds Rs 80,000 per set. The finance bill shows that the levy of Regulatory Duty (RD) @ Rs.175/set on the completely knocked down (CKD) / semi knocked down (SKD) kits of the mobile phone, which has been proposed. The RD on the CKD and SKD kits of mobile phone was Rs.200 per set, which has been reduced to Rs.175 per set. 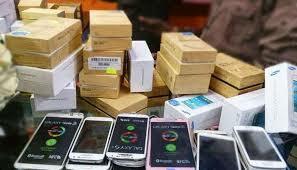 The experts say that it may discourage the digitization and encourage the smuggling of the smart phones. It will curtail the growing of the imports and generate the additional revenue.